Well-known for “Snowy Road,” his poignant short story about motherly love, the late author Lee Cheong-jun is considered one of the most prominent 20th-century Korean novelists. 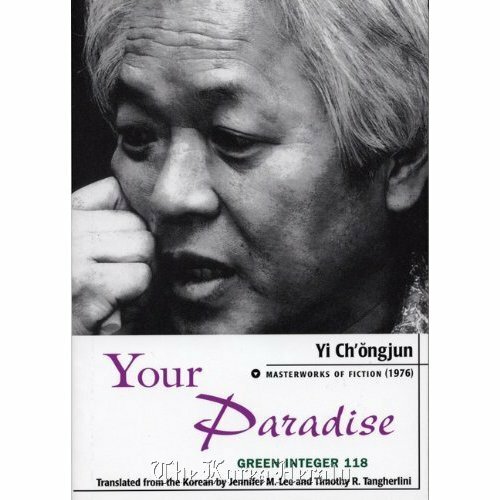 Lee’s 1976 novel “Your Paradise” is a moving allegory about utopia which takes place on Korea’s real-life leper colony island Sorok-do. Located near Goheung, South Jeolla Province, the island has been home to people with Hansen’s disease since the 1910s. The community was formed when Western missionaries opened hospitals exclusively for Hansen’s patients on the island during the early 20th century. During the Japanese colonial period, everyone who had the disease was forced to move to the island to live there indefinitely. Lee’s novel takes place in the 1970s, when Korea was going through rapid industrialization under President Park Chung-hee’s authoritarian regime. The book starts as its protagonist, Col. Cho Paegon, arrives on the island as its new director. But many residents are reluctant. When the director tries to persuade them of the merits of the land reclamation project, which will connect the island to the mainland once completed, the local leaders request one thing of Cho: that he won’t make a statue of himself in honor of his own accomplishment. That’s what the island’s former director had done, focusing on bringing glory to himself while exploiting the labor of the locals to build parks and charnel houses. The novel examines whether the pursuit of happiness or “utopia” can be forced by authority. It takes time for the ambitious Cho to realize that the ideal Sorok-do he had envisioned is in fact very different from the one that the locals want. This depiction of the novel overlaps with Korea’s 1970s, where many worked hard as part of the country’s modernization process while not fully acknowledging their personal happiness. In the novel’s ending, Lee suggests that love, above all else, is crucial in establishing an ideal society. The book was co-translated into English by Jennifer Lee and Timothy Tangherlini and was published in 2004 with the support of Korea’s Daesan Foundation. Born in 1939, Lee Cheong-jun studied German literature at Seoul National University. After the release of his first short story, “Toewon (Leaving the Hospital)” in 1965, he published many highly-acclaimed works including “Seopyeonje” and “Iodo,” which were later adapted into movies. He died of lung cancer in 2008.